OutdoorMessageCenter.com is a division of Mailbox Makeovers, LLC. 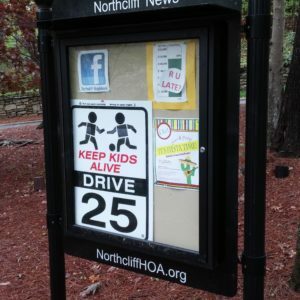 Since first opening in 2009, the supplier of outdoor bulletin boards has shipped to or installed message centers in over 400 subdivisions or communities around the country ranging from places such as Wassila, Alaska all the way to Islamorada in the Florida Keys. Their affordable all-aluminum product with easy to install instructions comes from their base in Cobb County, Georgia where they operate from as an insured and licensed business. 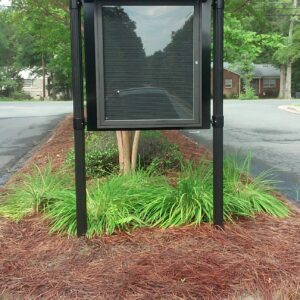 Outdoor Message Center continues to reach new customers continually as more and more folks realize the power behind having a traditional tool with which to clearly communicate with. 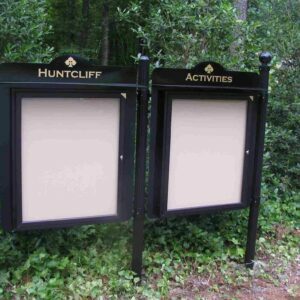 Helping their customers communicate with a high quality, visible, and durable outdoor message center is the company’s highest priority along with ensuring a smooth and simple customer service experience. As a Christ centered business, Outdoor Message Center strives to operate with the highest standards of integrity in all they do.